Boat I is the first in a series of traditional fishing boats from around the world. 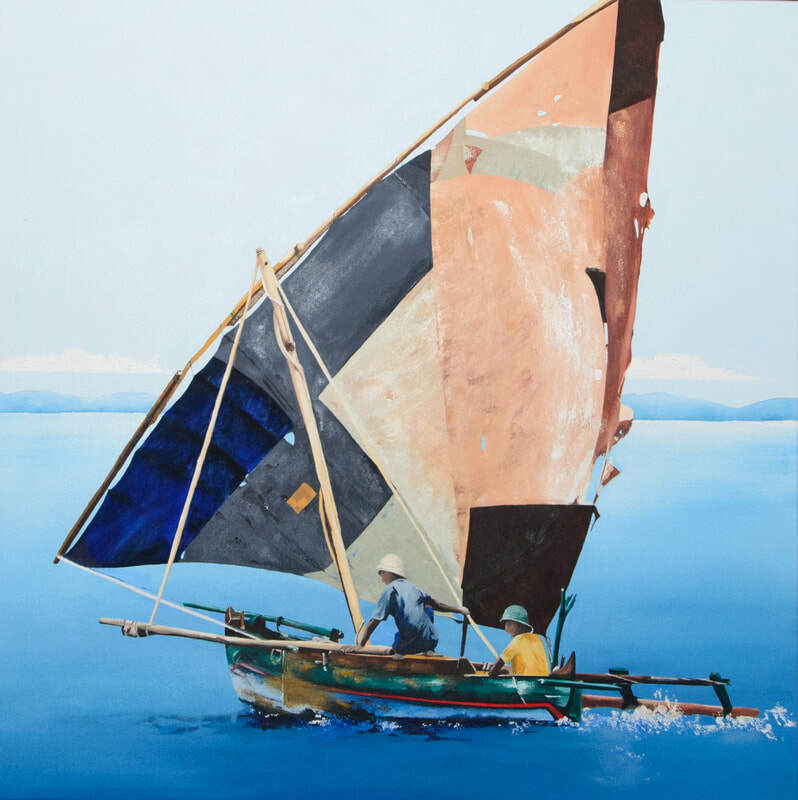 It was inspired by a photograph of two young men sailing their outrigger canoe on the Indian Ocean. The knowledge of how these boats are build and the traditional link they provide with the sea are quickly getting lost with the rapid rise of globalization. My goal is to capture some of these boats ‘in action’ and cement them in oil on a canvas for future generations to read.